Sometimes one act of cursing isn't enough, we miss the mark, and i mean mark, like a conman means mark, a vic, like an arrow or a dagger that stabs at that mark. 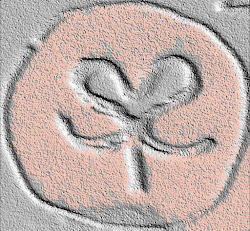 And so as a plan of attack, I have decided multiple stabs, and that these curses will appear and be released firstly as an audio ritual-curse, and then next as a video ritual curse (done alone), and finally, with the other two acting as preparations for what will be continued and culminated as and in public participation Coyotel curses -- which too will be recorded; Burroughs said to Leyba, said to me, "Record EVERYTHING." For the NSA: concerning this matter of privacy I've take a stance much like W.S. 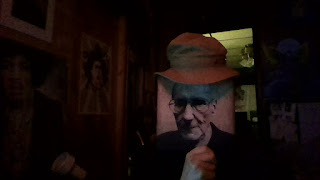 Burroughs, whereby privacy is an illusion we give each other out of respect, but going the other way towards total exposure YET, and importantly, without the NSA having a privileged secret position. On "The ART" world -- that curse is meant to liberate artists and their art, cursing and challenging those privileged positions of the Art Gallery, the mass-market-art-production, and those that control architecture, etc, as those and that which controls/dictates the scripting of cultural spaces and exploits its talent. Remember the message is the medium, and content is just another medium. This too, as with each curse, will start as audio and move towards video and then public curses. There public staying power will be dictated by participation. And lastly - that I am going to work on - is a Nestle Curse to Coincide with Oct 17th event in California -- it will be done that day to help enhance the Death Curse Against Nestle. And so this will prob. be the 1st curse that I get to work on. And then that curse will follow the plan of the others. Hail to the New Flesh! Rev. A.A., , Coyotel Rising!